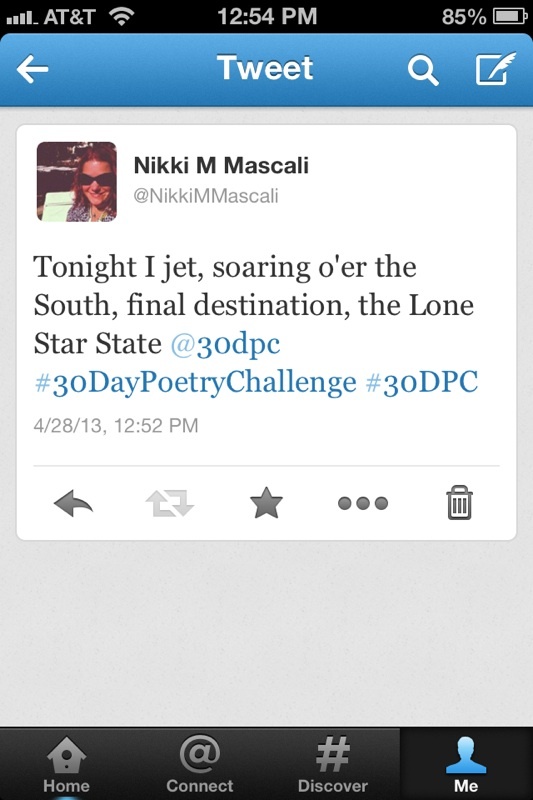 Day 28: Write a poem that’s less than 140 characters. If you’re on Twitter, tweet it! Be sure to use #30dpc.